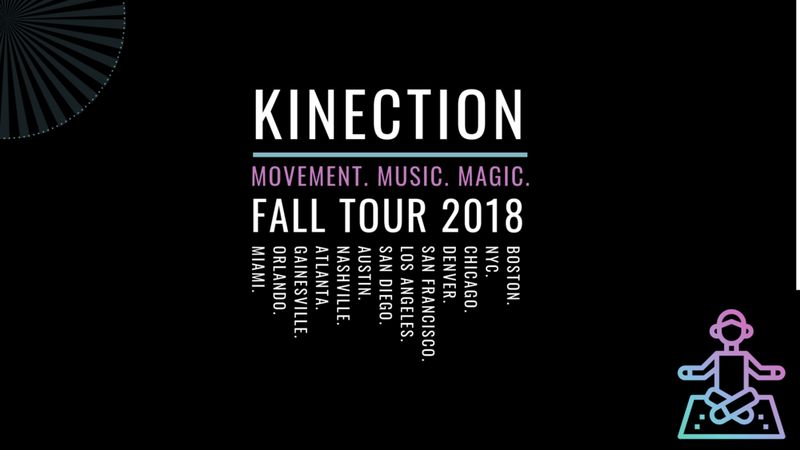 I am beyond excited to be teaming up with my friend Danielle Gertner to bring you, KINECTION, a traveling fitness experience. But it's not just fitness. It's movement, stretching + breathing to the sounds of local beats alongside local people. The mission? Discover the power of KINECTION - to yourself, to your body, to your community. We ask that you come with little expectation, just ready for some movement, music and magic. What you can expect though: 45 minute workout followed by 20-30 minutes of deep stretch + meditation. You'll have to come and see the rest of the magic that happens after that. Connection: a relationship in which a person, thing, or idea is linked or associated with something else. KINECTION: unparalleled energy created by building an irreplicable relationship with one's body, life + environment through movement.